The New Digital Sound is a solo project from DJ Don Smith, who combines ambience, techno beats and voice samples to create music that is minimal but melodic, and often includes beats, though not for the purpose of laying down a groove. ("Unfinished" was the only track that gave me the urge to find the nearest Rave, and even it had a lot of welcome strangeness.) Influenced by artists like Moby and the Chemical Brothers, DJ Don seems to focus his attention most on the resulting atmosphere and the music has a soundtrack quality that is always image inducing. Not all the tracks grabbed me too hard but the ones that did were strong. "You" is a standout track with techno beats, melodic piano bits, intermittent rumbling drones, and voice samples. The contributions from each piece are simplistic but DJ Don's use and placement of the separate parts makes for an interesting whole. "Devoid Of Emotion" is a curious piece on which ambient space waves provide the backdrop for a disturbing news sample about some murders that took place. A very short but intriguing track. "Expressing Of Sorrow For A Dead Person" is another strange combination of music and voice samples that consists of drifting ambient music with quirky beats and some guy talking about an operation on his arm. "The Unfortunate Reflection Of War" is a little different. Multiple howling waves make for a bit of a freakout piece that aptly reflected its title in the imagery it conjured up. "Pigment" is an eerie spacey track with oddball echoed voice samples. But my favorite track is "Minimal", which is precisely that. DJ Don creates slowly developing pulsating low bass waves that make for a dreamy but melancholy mood. Sparse percussion helps to keep things moving and the piano soon joins in to add a Gothic flavor to the mix. Overall an interesting listen. Some of is a bit too sparse for me, but the strong tracks take ambience as their base and then build on that to create something a bit different, adding extra bits like beats, voices, and careful use of fun freakiness. 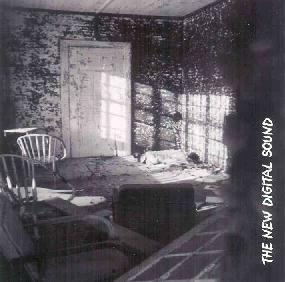 For more information you can visit The New Digital Sound web site at: http://www.thenewdigitalsound.com. Contact via snail mail c/o DJ Don Smith; NDS Productions; 82 South Street; Randolph, MA 02368.